On this Memorial Day I feel compelled to tell the story of two of my cousins, both who tragically died in the service of their country. This is not a story of death in combat nor a story of bravery and heroism, not in the traditional sense. But it is a story that I feel needs to be told before there is no one left to tell it. Here is the story, or at least what I remember, of the fate of two of my cousins, Ray and Marty Schrand. When I was young most of my cousins were older than me. I guess this was because both my Father and my Mother were the youngest in their families. I had two aunts on my mother’s side, both aunts had two sons, and all four served in the military. My Aunt Mary and Uncle Elmer lived in the Cincinnati Area known as Tusculum. As a boy I loved visiting my Aunt Mary, specifically because I could hang out with my two older cousins, who were very cool, in my opinion. I am not sure but I think that part of the attraction was their great collection of comic books. Not only the usual Archie, Donald Duck, and Little Lulu comics, but also a great collection of Keeper of Crypt comics (which I was not allowed to read, but did anyway). It was just great fun to hang out with Ray and Marty, and they, at least, would tolerate me. Sometime in the mid to late fifties my Cousin Marty enlisted in the U.S. Marine Corps. Following boot camp and other stateside duties he shipped off to serve a tour of duty in the Philippines. That was the last time we ever saw him alive. The story provided by the U.S. Marines was that he was walking a guard post when somehow his rifle was dropped and accidentally discharged, striking him in the stomach. The gunshot was fatal. He was shipped home, sealed in a glass lined coffin. I was in my early teens at the time of this tragedy but I can still picture the sight of him, lying there under glass and repeating to myself, “Poor, Poor Marty”. Thank you for your service. Raymond Schrand, not to be outdone by his younger brother, enlisted in the U.S. Navy several months after Marty enlisted in the Marines. Ray completed boot camp and was assigned to sea-duty. I do not know what his rate was nor what ship he was assigned to. Ray came home on emergency leave to attend his brother’s funeral, and that was the last time we ever saw him alive. 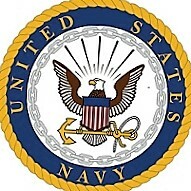 The story, provided by the U.S. Navy, was that he was aboard ship which was underway in Puget Sound, Washington. Somehow, due to an equipment malfunction, he was struck by a piece of unsecured gear and was swept overboard. Rescue attempts were not successful. He was presumed lost at sea. Six months later his body was recovered in Puget Sound Harbor. He was shipped home in a closed coffin and laid to rest alongside his younger brother. Thank you for your service. I do not know how my Aunt and Uncle were able to go on. No parent should have to endure the loss of a child, and to have lost both of their sons, their only two children, due to accidents such as this must have been almost unbearable. The irony of the situation is the this all happened in a period of our history of relative peace, between the Korean War and the Viet Nam war. I wish I knew more, I wish I knew what their military ranks were, and I wish I knew where they were buried. It would be nice to be able to pay my respects at their grave sites. But now, at least, the story has been told, and I feel better having memorialized them by telling their stories, on Memorial Day, 2016. Thank you for writing this, Tom. Whether it’s in a time of peace, or a time of war, remembering those who lost their lives in service to their country is a fitting tribute. <3 I remember as a little girl going to church with Aunt Mary and Uncle Elmer, and watching them light candles in memory of their sons. I remember the candles like Kim and we read the same grotesque comic books in secret like you did. I also remember Uncle Elmer making us pork chops for breakfast and Aunt Mary taking us to Bingo. I think the church we attended was St. Stephens on Eastern Ave. They were always kind to us and we had a lot of fun with them,but even being farther removed in age from Ray and Marty than you and Karen I remember always feeling sorry for them because of their terrible loss although it was never mentioned. Thank you for remembering not only their service but also sharing good memories of their lives!